Long before the Mouse roared into Central Florida, one of America’s oldest and best attractions was Silver Springs, which is located just north of Orlando near Ocala, Florida. I have fond memories of visiting the attractions as a kid and recently got to relive them all over again. 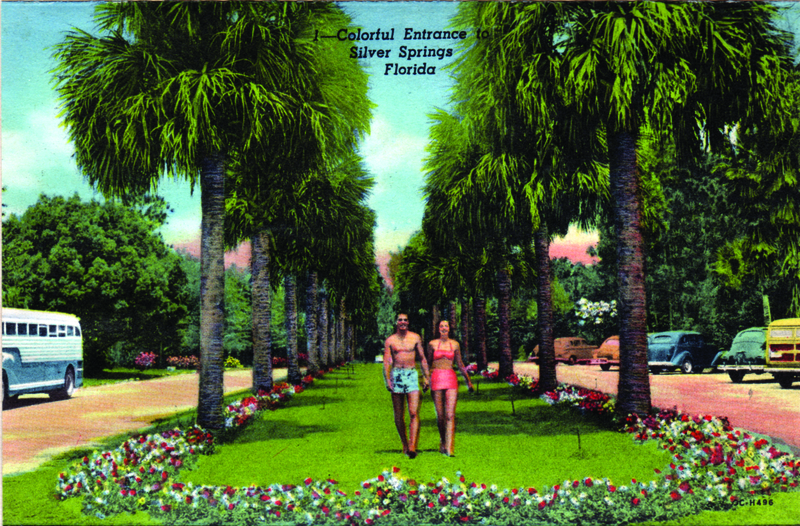 “The Lost Attractions of Silver Springs” by Tim Hollis is an absolute treasure for fans of old Florida, roadside attractions or just plain history buffs. For those unfamiliar, Silver Springs is the longest artesian natural springs in the world and famous for their glass bottom boat rides that still operate to this day. In addition, this area was also home to a small amusement park which Hollis brilliantly chronicles in this new book. What I love most about this book is just how much of Americana Silver Springs represents. Seen above, the entrance sign to the attraction in the 1950s featured an Art Deco style that was very trendy at the time. Even more interesting is the fashion by nearly everyone depicted in the book’s photographs reflect a unique part of our history. 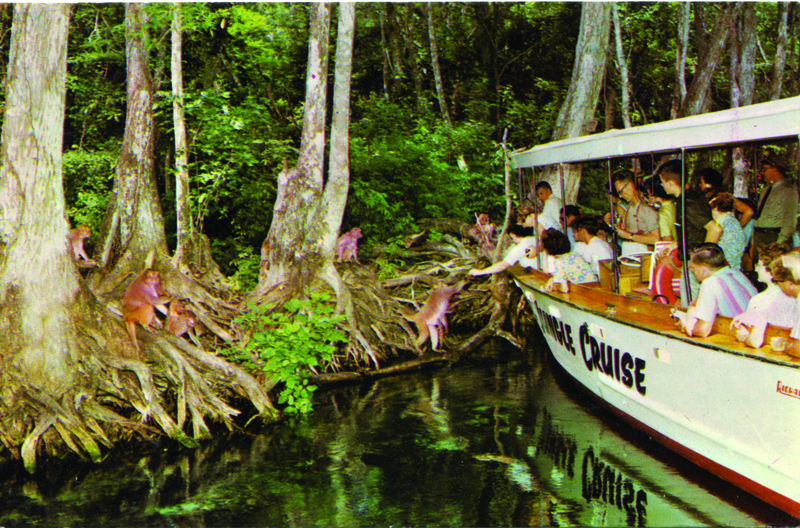 Indeed, Disney’s Magic Kingdom wasn’t the only one attraction in Florida with a Jungle Cruise. Silver Springs featured real alligators and, as pictured above, monkeys! This attraction was one of the longest-running during the history of Silver Springs and remains one of the most memorable. However, no attraction is more iconic to Silver Springs than the glass bottom boat ride. As seen above, swimmers could actually go right underneath the boat to give riders a unique view of the crystal clear waters. If this photograph alone doesn’t make you want to buy the book, nothing else will! There were other ways to check out the marine life of Silver Springs. 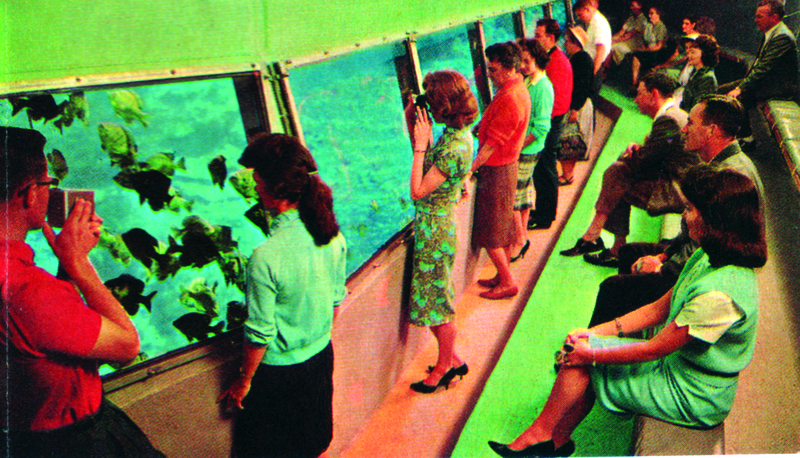 Pictured above was the Aquatarium, an underwater viewing area where guests could enjoy the springs from a stationary location. However, not all attractions in Silver Springs related to the water. 6 Gun Territory was a portion of the park only accessible by train. Guests could experience a shootout in the streets, enjoy cancan dancers at an old saloon and did I mention there was a true steam train? 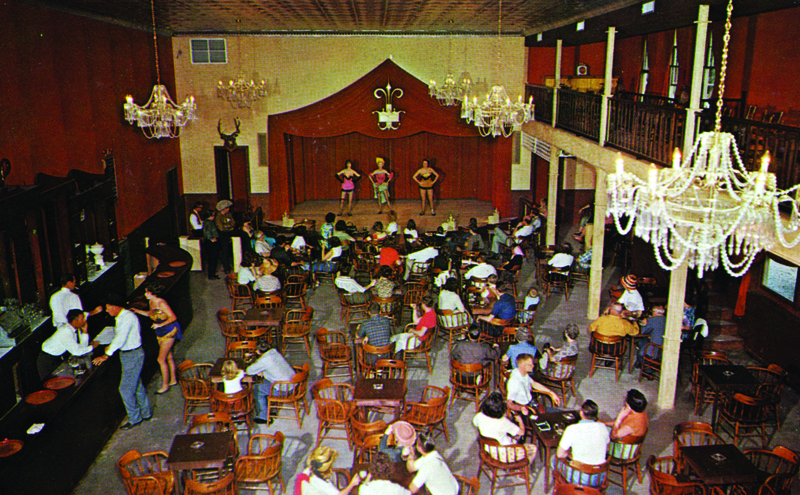 The Palace Saloon was a place where one could beat the Florida heat with a cold sarsparilla. CanCan dancers would entertain guests as well as cowboys who would roam the hall. 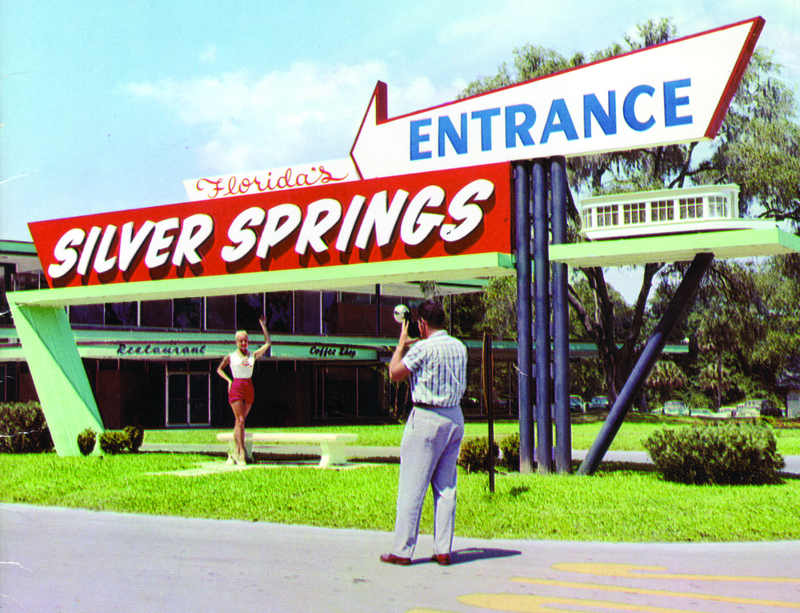 An interesting fact I learned from “The Lost Attractions of Silver Springs” is most of the performers used in 6 Gun Territory were teenagers from the local Ocala High School! What a fun summer job that must have been. What is in this article is only a small sampling of the attractions, photographs, and history of Silver Springs chronicled in “The Lost Attractions of Silver Springs.” If you’d like to purchase the book, click on the link below to buy it from Amazon and it helps out Theme Park University and costs you nothing extra. As always, any purchases you make on Amazon via any TPU link helps us keep the lights on and is greatly appreciated. Images reprinted from Lost Attractions of Silver Springs by Tim Hollis (The History Press, 2018). This entry was posted in Extinct Attractions, Outside The Parks and tagged Lost Attractions of Silver Springs, Silver Springs, Silver Springs Book. Bookmark the permalink. Trackbacks are closed, but you can post a comment.